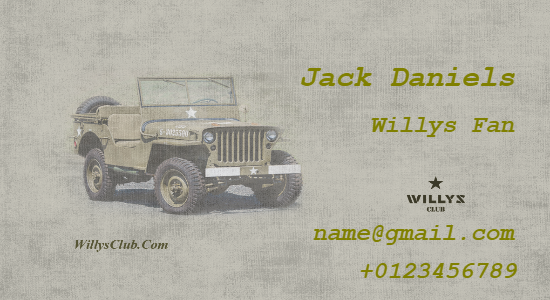 Design your own personalised Willys Club business card. 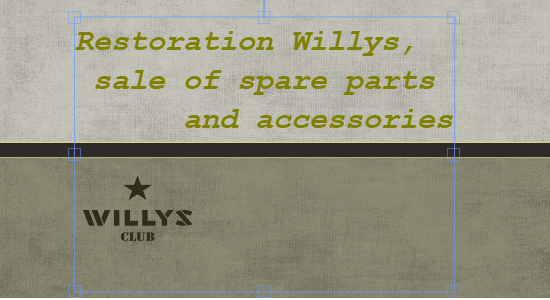 Use our card designer below to make your personalised Willys Club card. When you’ve designed the front, click ‘ADD BACK SIDE’ if you wish to make it double-sided. When you’ve finished, click ‘Download’ to save your design. 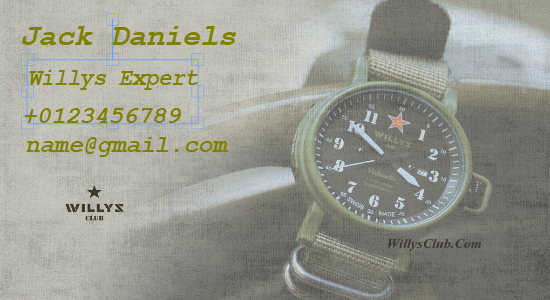 You can print it yourself or send it to a professional printer. 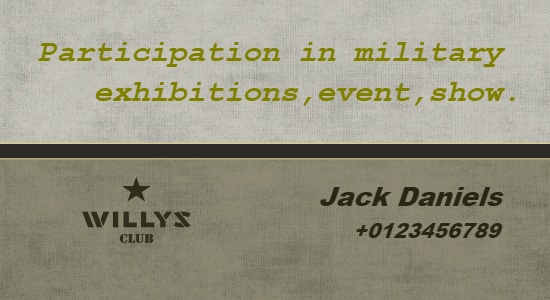 Edit the template - and create your own business card!